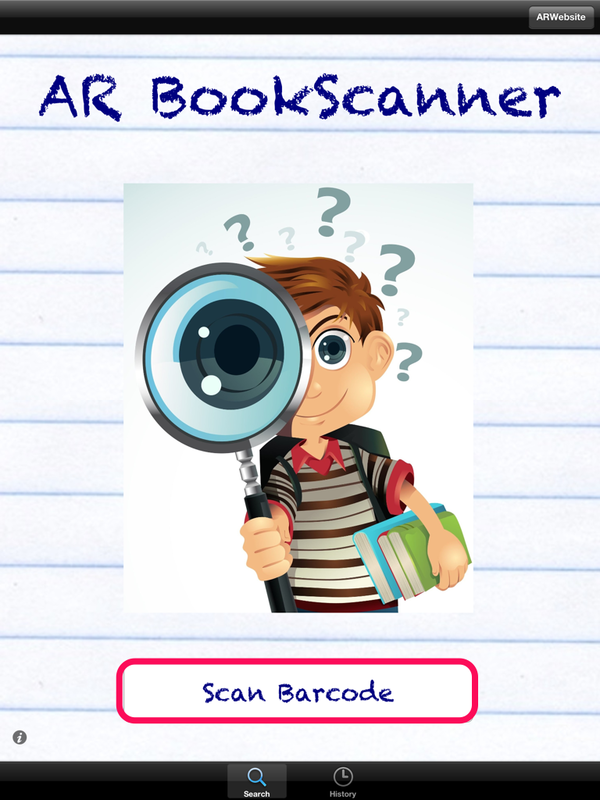 If you are an Accelerated Reader campus, a problem that sometimes arises is trying to determine if the books in your class library or books students bring from home are AR books. Is there a test for the book? What level is it? How many points is the book worth? As a teacher you hear these questions often. You can log into AR, type in the book’s title, and search…but that is cumbersome and time consuming. @stephaniem2012 shared an app with me this last week that can answer all those questions! 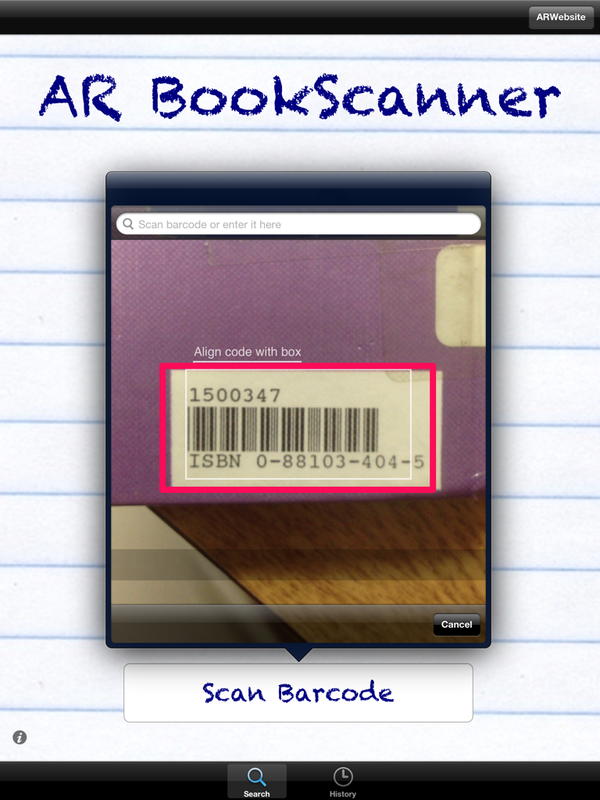 AR BookScanner is an app that will scan the barcode on a book and give you all the information you need. The price is $1.99, but if you use AR religiously the app is worth the money. The app is very easy to use. Open the app and press the “Scan Barcode” button. Line the barcode on the back of the book up with the guide that appears in the pop up window. When the barcode has been scanned, a window pops up with the details you are looking for. 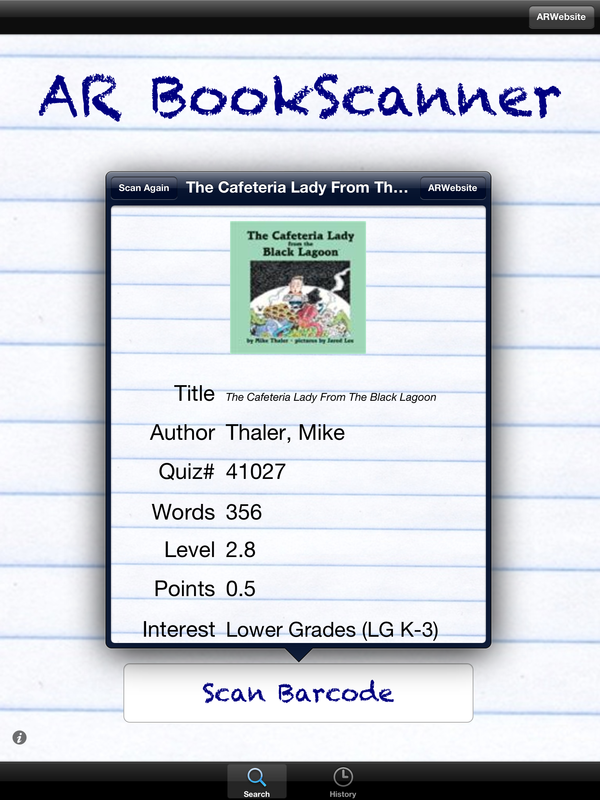 It will tell you the title, author, AR quiz number, number of words, book level, points, and an area of interest. Even if the book is not an AR book, it will fill in information for any field it can. 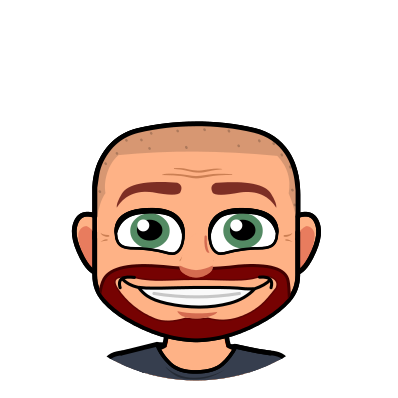 Quick and easy…the way an app should be! ← A Great Update to Skitch! For those of us that don’t have an iphone, do you know of a good android app version of this? The only one I could find had very poor reviews. I’m sorry…I do not have an android alternative for you at this time.